Sara was born in Louisville’s Smoketown neighborhood in 1884. She began her career as a vaudeville singer around 1915. She performed with a jug band, a popular style of music which is still played today. Louisville jug band music was a mix of African American folk traditions and jazz instrumentation, according to Michael L. Jones, author of “Louisville Jug Music: From Earl McDonald to National Jubilee.” Sara recorded “Blue Devil Blues” with the Dixieland Jug Blowers in 1924. Their recording was the first recorded jug band on record. Known as “moanin mama,” Sara secured a recording contract with Okeh Records in 1922, when she was 38 years old. One of her first recordings was ‘Taint Nobody’s Bizness if I Do’ with Fats Waller on piano. 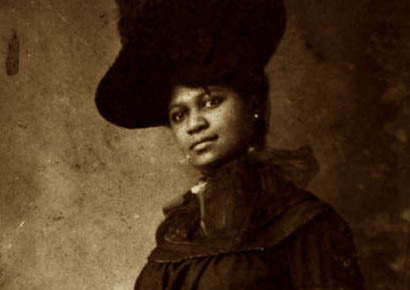 Her tune “Sugar Blues” was popular and helped draw attention to her singing. The following year Okeh released seventeen records by Sara. Her work with popular sidemen Clarence Williams, Sidney Bechet, Sylvester Weaver and King Oliver’s band helped make her a best seller. She continued recording until 1928. Sara was renowned for her stage show, where she appeared in lavish costumes with diamonds in her teeth. She toured Cuba, Puerto Rico and Jamaica and major US cities in the late 20s. Her talents included performing in films. Sara was in the 1929 film “Hello Bill” with Bill Bojangles Robinson and appeared in the first talking picture with an all-black cast, “Darktown Scandals Revue” in 1930. “She was truly one of the classic blues singers,” said Keith Clements, a founding member and a current director for the Kentuckian Blues Society. 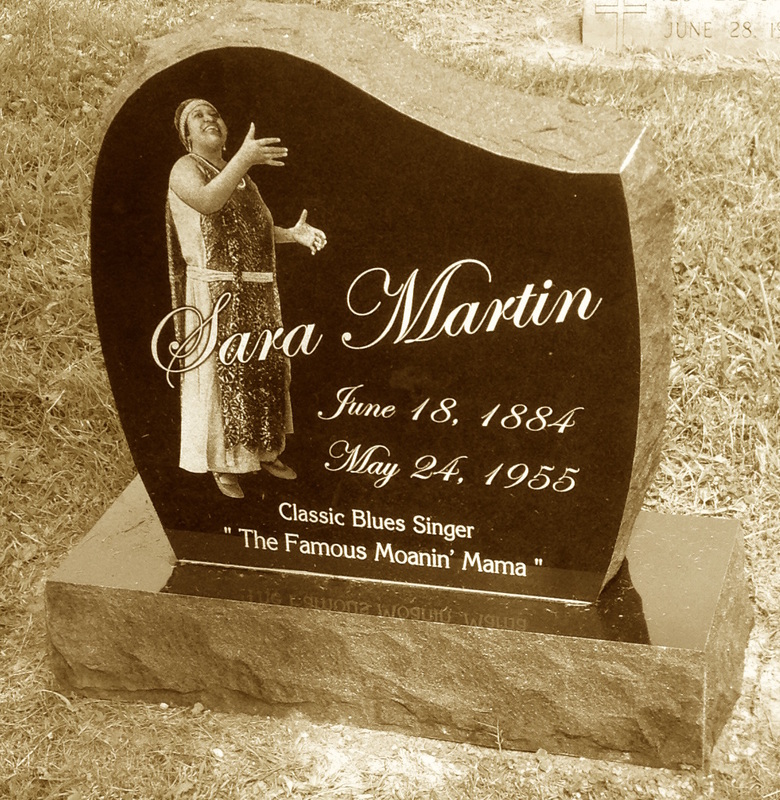 Sara retired from blues singing in the 1930s and returned to Louisville, where she opened a nursing home and sang in the local church gospel choir. She passed away from a stroke at the age of 71. Sara was buried in Louisville Cemetery off Poplar Level Road in an unmarked grave. Kentuckiana Blues Society and National Jug Band Jubilee raised funds to install a pictorial headstone to mark the grave site of Martin. One side of the marker shows Martin performing in a ’20s-style gown, and the other side includes her bio. The headstone was placed two years ago. Her collaborators Earl McDonald and Slyvester Weaver are buried in the same cemetery. Kentuckiana Blues Society and National Jug Band Jubilee are receiving an award from the Kentucky Historical Society in March for their efforts to celebrate this blues great. Samples of her music can be find online and include tracks such as Jug Band Blues, I’m Gonna Be a Lovin’ Old Soul, and Death Sting Me Blues. The content on this blog is composed by an independent voice who is interested in feminist art for social change in KY. The viewpoints expressed belong to the guest author, who is not a member of the KFW staff.